The Native Plant Initiative of The Garden Club of Allegheny County promotes the use of plants native to the Allegheny Plateau in our landscapes and gardens to stem extinction and provide habitat for our native American flora and fauna. Our Point State Park Demonstration Project, launched to commemorate our Centennial in 2014, will emphasize plants native to this urban riverine site. ALT supports the conservation of native plants in their natural settings by protecting green spaces that might otherwise be developed. Presenting a significant challenge to the preservation of native plant populations in these areas is an assault by invasive exotic species which displace native vegetation and also the wildlife that depends on it for food and shelter. 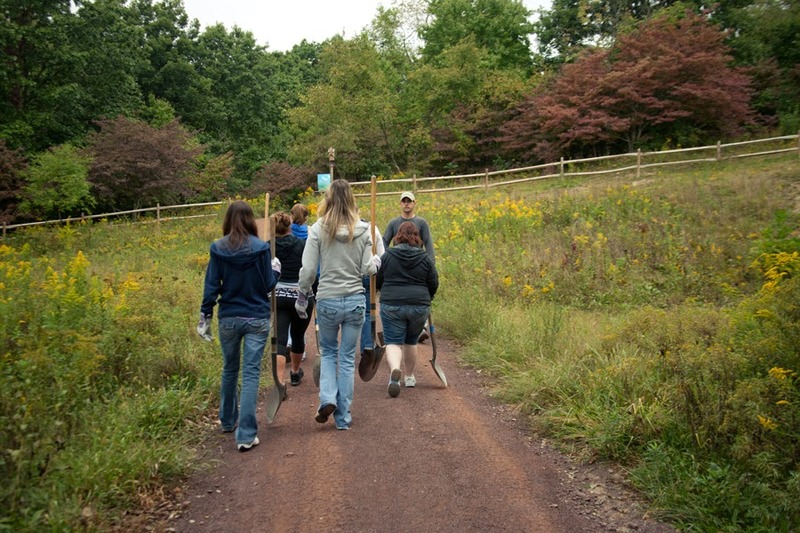 Through the Urban EcoSteward Program, Allegheny Land Trust is educating volunteers to identify invasive plants and remove them. The Audubon Center for Native Plants promotes the use of native species in landscapes and home gardens through the propagation, display and sale of native plants to the public. The nursery features native varieties that support wildlife, can be used in habitat and plant community restoration projects and help provide stormwater control. FHNC sponsors wildflower and tree planting workshops with local schools, and through this tree-planting program has established a native tree walk on the nature center’s property. Also, beds within the parking areas at the nature center are planted with native perennials and grasses. 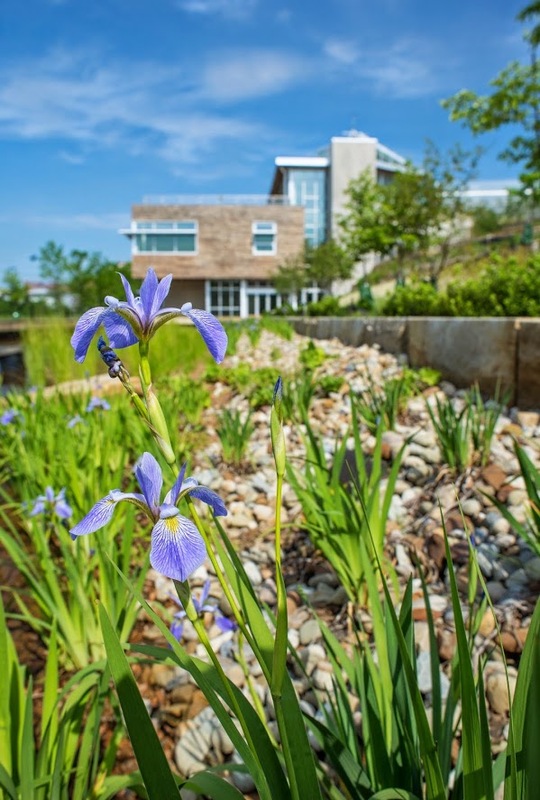 Both the gardens and the green roof of the Center for Sustainable Landscapes (CSL) use all native plants. The CSL entry drive and staff parking areas also feature natives, as do the perimeter gardens surrounding the CSL. Phipps also uses native plants throughout its campus and in flower shows, when appropriate. Native plants and plant communities feature prominently in the landscape and programming of the PBG. The 460-acre site, consisting of land degraded by mining and clear cutting and overrun by invasive species, has been replanted with native trees, shrubs and herbaceous perennials and nursed back to health. The Conservancy includes native trees, shrubs and herbaceous plants in every capital project. They actively manage for native flora by removing non-native invasive plant, developing a comprehensive restoration plan for each site being renovated, planting and establishing native canopy trees followed by understory plantings of native shrubs and herbaceous species, monitoring plantings to determine progress and performance with respect to existing conditions, and training volunteers, staff, and interns to steward restored sections of each park. 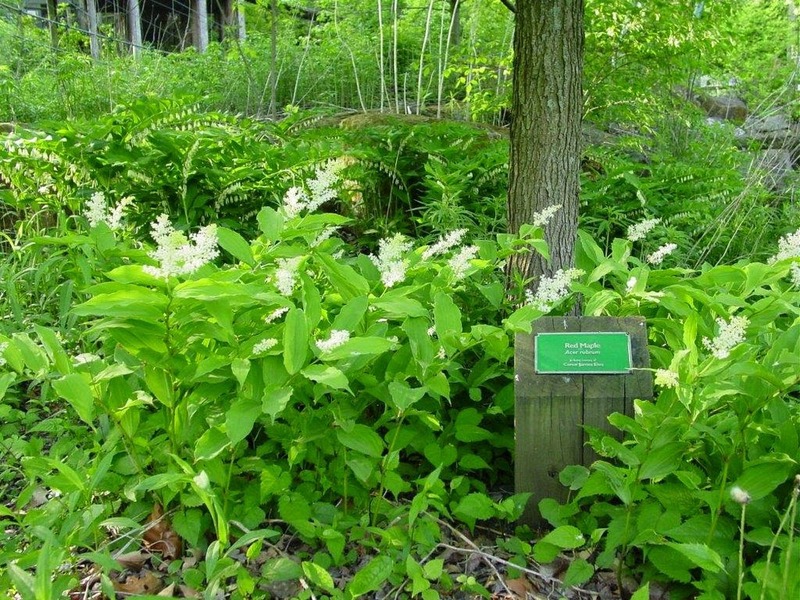 In the public areas of the Zoo property that are not specifically devoted to animal displays, Western Pennsylvania native plants play an important educational role. Native plants are featured throughout the zoo grounds, but are concentrated in three areas: Penn’s Woods West, Randall Butterfly Garden, and Pollination Station. Riverlife uses native plantings to enhance and improve the environmental quality of the rivers’ edge. 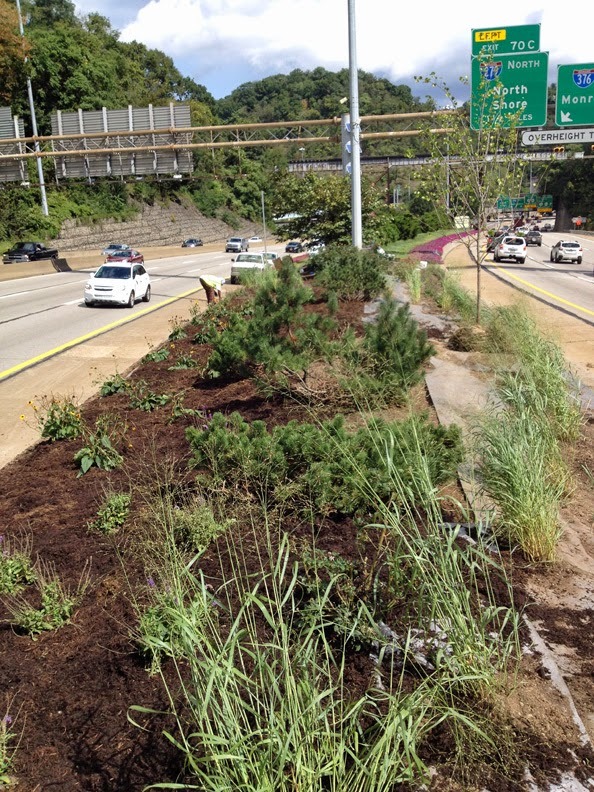 Native plants are deployed in all restoration projects within the 13-mile waterfront loop known as Three Rivers Park. Native plant communities established within 3 planting zones perform a vital service by slowing down, cooling, and cleaning stormwater runoff before it enters the rivers. 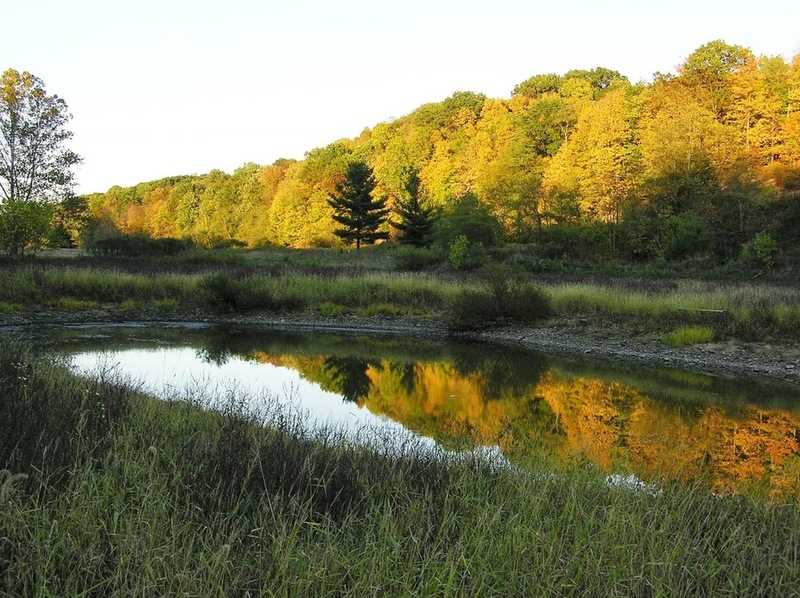 he Conservancy supports the conservation of native plants in their natural settings by protecting sites of special value and interest throughout Western Pennsylvania. TreeVitalize uses native species (or cultivars of natives) in parks and natural areas and along river trails. Whenever possible, natives are also used in street plantings (not all native species tolerate tough urban conditions). Garden beds in the courtyard of the Allegheny County Courthouse in downtown Pittsburgh were renovated in 2010. The plant palette includes species native to eastern North America. Trees, shrubs, and perennials in the plantings are tended by volunteer Penn State Master Gardeners. Monarch butterflies enjoy a welcome respite atop the David L. Lawrence Convention Center in downtown Pittsburgh. Monarch Waystation #6071, located on the convention center’s north terrace, supports a host of milkweeds and nectar plants favored by these beautiful butterflies and their larvae (caterpillars). Building a waystation is one way for individuals, as well as public and school gardens, to help reverse an alarming decline in the population of this iconic insect. A riverfront promenade and outdoor amphitheater extend the casino’s landscape to the river’s edge. Plantings were designed by Pittsburgh-based Strada Architecture, LLC in collaboration with Riverlife Pittsburgh. The landscape also incorporates an innovative stormwater management system which helps clean runoff before it enters the Ohio River.